A new notice appeared late last week from the Garden City Group, the claims administrator authorized by the U.S. Attorney for the Southern District of New York to oversee the process for reimbursement of U.S. Full Tilt Poker player account balances, providing an “Important Update About the Calculation Formula and Start of the Claims Process.” The update arrives almost five months after the GCG was initially named via a DOJ press release as the claims administrator in charge of the managing the reimbursements. The update reports that the GCG has now competed a review of data provided to them by Full Tilt Poker regarding players’ balances, and that “the calculation formula to be used for the Petition for Remission process will be based on players’ final balances with FTP as of April 15, 2011.” In other words, the “formula” appears not to be a formula at all, but rather a direct reimbursement of the full amounts of players’ accounts. That is to say, if the approved claims total an amount that is greater than the funds available with which to settle those claims, a formula will then be introduced to prorate payments accordingly. As the notice further explains, the Department of Justice is “utilizing funds forfeited from PokerStars” in late July 2012 as part of its settlement agreement with the DOJ that saw PokerStars assume FTP’s assets (enabling the relaunching of the site outside of the U.S. in November 2012) and take on liability for paying back the $184 million that had been owed by FTP to non-U.S. players. While no time frame is specified for the reimbursements to begin, the update states “The claims process will begin shortly.” Those who have registered for email notification on the fulltiltpokerclaims.com site will be sent notices directly with instructions regarding the filing of claims. 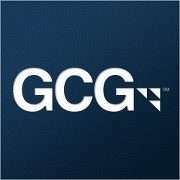 The August 1, 2013 update came less than two weeks after an “unnamed supervisor” for the Garden City Group indicated to Card Player that “the process will ‘most likely’ take longer than a year, probably longer.” The source went on to say besides being further hampered by having to work with multiple federal agencies, the GCG had yet to receive any guidance from the Department of Justice or the U.S. Attorney’s Office for the Southern District of New York regarding how to estimate reimbursements for each affected player who makes a claim. Either circumstances changed rapidly following the source’s statements, or the source was without knowledge of the impending announcement of an update. That said, without any specific dates for the claims process being shared by GCG currently, U.S. players still may still face a lengthy wait before seeing their funds returned. *Anecdotally speaking, as a U.S.-based player on Full Tilt Poker, I happened to be outside of the country on Friday, April 15, 2011 and was able to continue accessing my account to play real money games into the weekend. Only after I returned to the U.S. later and downloaded the new update was a no longer able to play. Thus is my final balance close to but not exactly what it had been on 4/15/11.